Perhaps the tide is shifting to allow users more control of their profiles after death. Facebook recently announced plans to no longer change the privacy settings of a memorialized account. In an announcement, members of Facebook’s Community Operations team said the following. Up to now, when a person’s account was memorialized, we restricted its visibility to friends-only. This meant that people could no longer see the account or any of its content unless they were Facebook friends with the person who passed away. Starting today, we will maintain the visibility of a person’s content as-is. This will allow people to see memorialized profiles in a manner consistent with the deceased person’s expectations of privacy. We are respecting the choices a person made in life while giving their extended community of family and friends ongoing visibility to the same content they could always see. This represents Facebook’s second major announcement about how accounts are handled after death, but is their first step to allow users control over the process. While not as significant a step as Google’s Inactive Account Manager, which debuted last spring, together these announcements indicate a trend towards greater control of the process by users. At The Digital Beyond we advocate primarily for individuals to have control of what happens to their digital assets following death, and in the absence of instructions, for access to be granted to an executor with a fiduciary responsibility to make decisions in the best interest of the deceased. We believe Facebook’s announcement, while limited in scope, is in-line with our stance and is a step in the right direction, therefore we applaud their efforts. 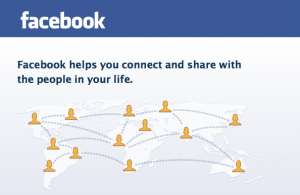 Update March 17, 2014: An earlier version of this post stated that this was Facebook’s second major step. We’ve clarified the article to state that this is their second major announcement. Damien McCallig pointed out that Facebook often makes clarifications or minor changes to the memorialization, which are recorded in regulatory filings, media reports and other sources. With Person #1’s approval, may Person #2 assume P1’s Facebook identity without violating FB’s policy. Looking forward to your reply. Thank you.